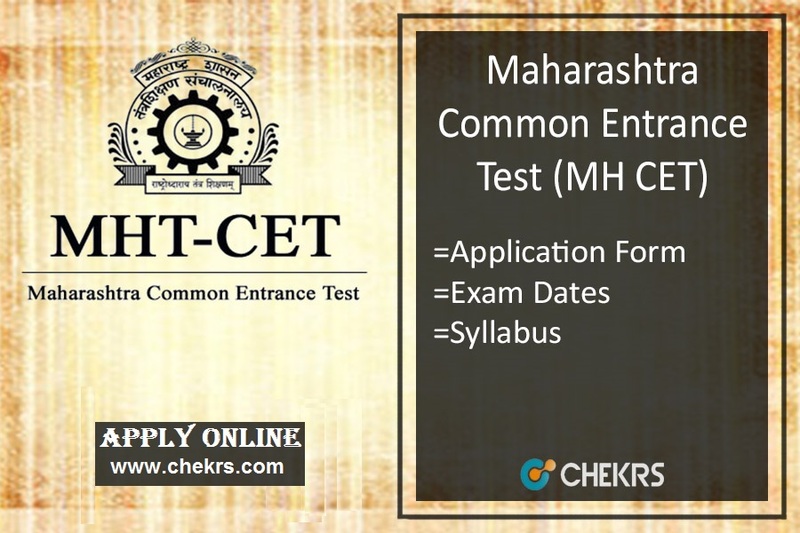 MH CET 2018 (राज्य आम प्रवेश परीक्षा केंद्र महाराष्ट्र आम प्रवेश परीक्षा): The State Common Entrance Test Cell Maharashtra conducts MH common entrance test for the students who are seeking admissions in various engineering, pharmacy etc. courses. The MHT CET 2018 is a state level entrance exam. The aspirants can apply for the MH CET Application Form 2018 from the February/ March month. The last date of the form is in the last week of March. The students must note that they have to appear for the exam on the prescribed MHT CET Exam Date 2018. The students who are interested and eligible can apply for the MHT CET Application Form 2018. The registration process will end up in last week of March. The students have to fill the application form to join the admission process. We will provide here the direct link for the submission of the MH CET Registration Form. The aspirants have to follow some precise procedure for the submission of the form. Steps to submit MH CET 2018 Application Form. Then they have to open the link regarding the MH CET Apply Online link present on the front page. Now select the apply now. Enter all your valid details in the form like name, roll number etc. Now attach the scanned copy of documents, photograph and signature with the form. Pay the required application fee via bank challan. Take a print of the generated form for future reference. The fees will be paid through Bank Challan only through SBI bank. The aspirants have to make the payment after 48 hours of the Registration. The aspirants who are applying for the application form are advised to check the MHT CET Eligibility before applying. The aspirant must have passed/ Appearing 12th standard from a recognized board. For Unani and Ayurvedic Courses: The age of aspirant must be more than 17 years. The aspirant must have passed 12th class with PCB as compulsory subjects from a recognized board. The aspirants have to show their medically fit certificate. The students who are going to appear for the entrance exam will require the MHT CET Syllabus for their preparations. The students have to study all the topics form the syllabus. The syllabus will be the combination of the subjects from 11th and 12th class level.